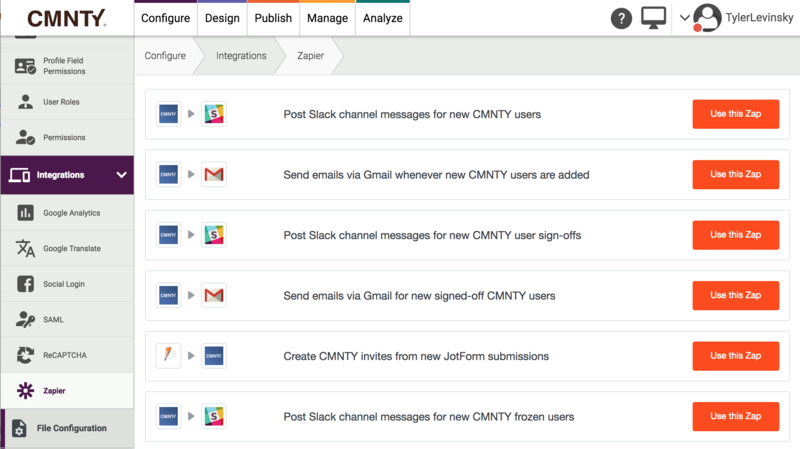 One of the most exciting features of the CMNTY Platform is the ability to integrate hundreds of other Apps using Zapier. Triggers when a new user subscribes to your community platform. Triggers when a user is frozen by a community manager. Triggers when a user has left the community (signed-off). Make the platform send an email invite to someone. Make the platform give points to a member. 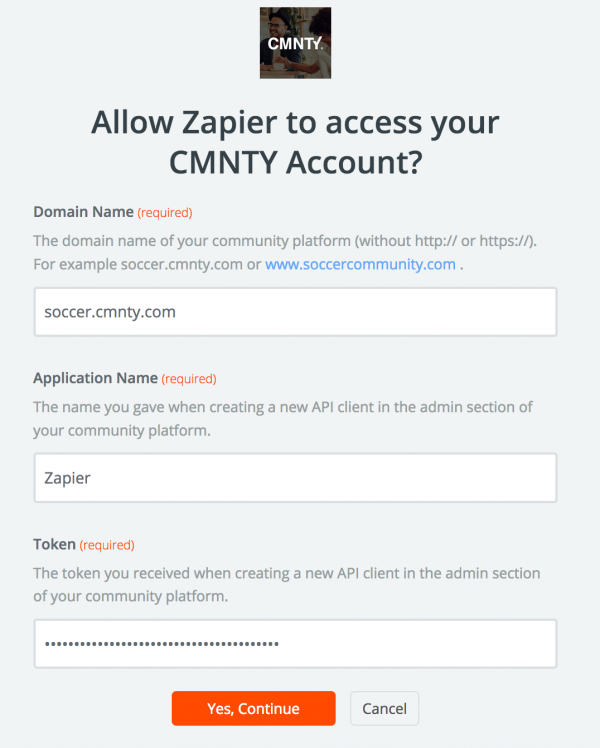 The first time you configure CMNTY and Zapier, you will have to connect your CMNTY account. Zapier will require you to enter your community platform Domain Name, Application Name, and Token. Please use the following directions to find this information when Zapier asks. Application Name: This can be found by going to Admin>Configure>CMNTY API>API Client. The Application Name is what you named the API Client when clicking Add API Client. If you haven’t done this already please do so. Token: This can be found by going to Admin>Configure>CMNTY API>API Client. Select Options>View next to your Application Name. Click the “eye” to reveal the Token. When you have connected your Zapier account to your CMNTY platform, you can use our Zapier section in Configure > Integrations to quickly find existing zaps to set-up for your platform. Just click Use this Zap to begin set-up of these actions!